Cloisonne is also known as hard enamel, which has always been associated with prestige and grandeur. It was originally used on jewelry worn by kings and pharaohs. It is said that the colors can be preserved for 100 years without fading. Our metal cloisonne pins are die struck from copper, hand-filled with mineral ore in powder and kiln fired one at a time under the temperature of 800 degrees centigrade, more color added, then the pins are burned again. In this way, the cloisonne pins can have jewelry like and durable finish, they are welcomed by collectors. If you need create the high quality and durable life time lapel pins, then cloisonne pins must be your good choice. 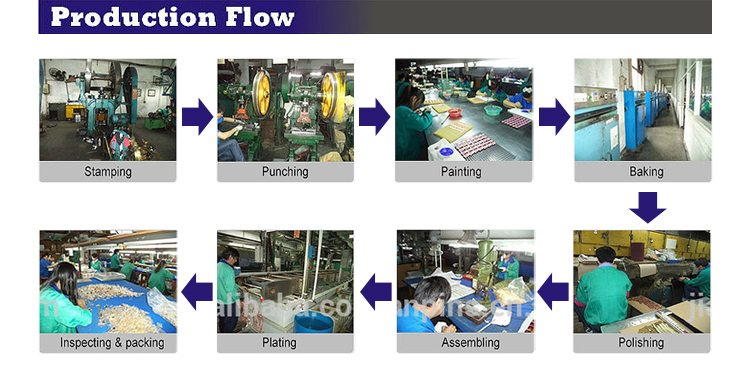 As a 35-year-experience factory, Jian helps custom various metal cloisonne pins which are widely used for a variety of purposes such as employee recognition, service awards, symbols of achievements and convey your message in special events with professional service and competitive price. What we hope is to solve problems and promote the market for customers. Jian will save you a lot of troubles with its profession.